BOSTON — The man faces his former NBA team with the same fanfare that many would describe Brandon Bass himself. He remains under the radar with both his personality, game and presence. It appears he wants it that way. But with all the focus on Kobe Bryant playing his last game on Wednesday at the Garden, Celtics coach Brad Stevens has credited Bass role in rebuilding the Celtics during his four years here (2011-2015). Bass played an evolving role with the Celtics as a starter and reserve both for contending and rebuilding teams. In 2014, Bass won 2014 Red Auerbach award as a player who best represents what it means to be a Celtic. 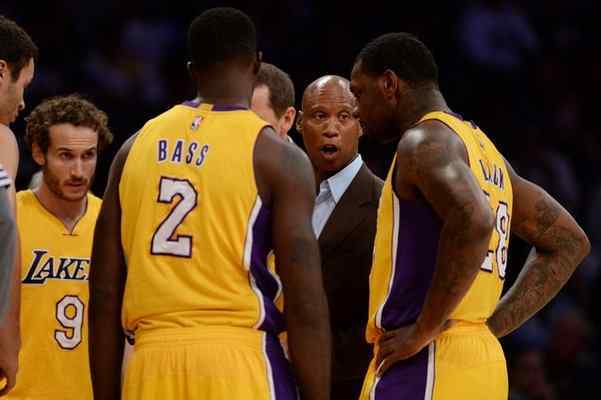 Yet, Bass signed a two-year deal worth $6.1 million with the Lakers. Since then, Bass has averaged 5.6 points on 57.7 percent shooting in 16 minutes off the bench. While he said the Celtics are “doing some great things” after making the NBA playoffs last season as a seventh seed, Bass is playing for the Western Conference’s worst team. BOSTON — The crowd rose to their feet at his presence. The Boston Celtics presented the Lakers’ star player with a gift and praised his greatness. For at least a moment, all the hatred between the Celtics and Lakers went away. Will this mark the reception Kobe Bryant receives when the Lakers (5-27) visit the Boston Celtics (18-13) on Wednesday for what will represent his last game at the Garden? Perhaps. But it certainly described the setting for Lakers center Kareem Abdul-Jabbar in his last game here on Dec. 16, 1988. Then, the Celtics fans gave Abdul-Jabbar a 95-second standing ovation. Celtics president Red Auerbach then presented Abdul-Jabbar with a mounted framed slab of the Garden’s parquet floor. 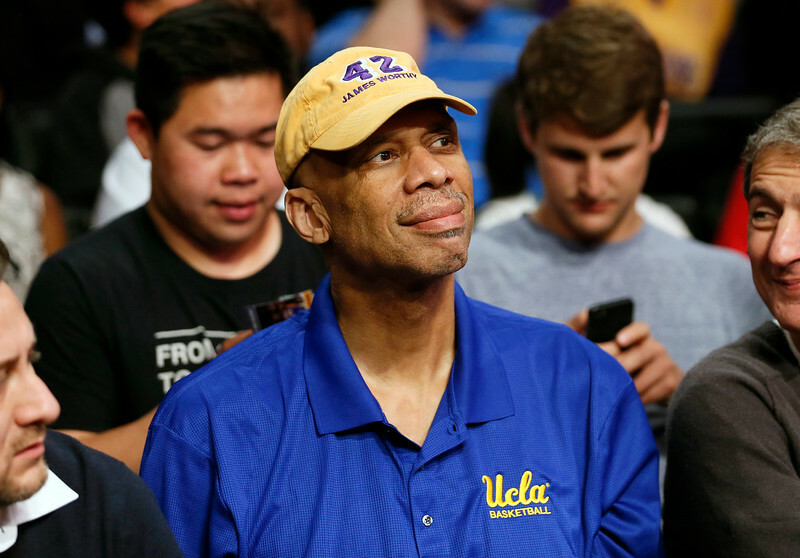 Nearly 27 years later, it resonates with Lakers coach and former Showtime teammate Byron Scott how the Celtics fans appreciated Jabbar for winning six NBA championships and becoming the league’s all-time leading scorer. Charlotte, N.C. — The changes started with the superficial. Jeremy Lin sported a teal Charlotte Hornets jersey instead of a purple and gold Lakers uniform. Lin also wore a giant mohawk filled with endless hair gel as opposed to, well, a normal haircut. Lin no longer has to deal with as much public scrutiny in Charlotte (17-13) as he did last season with the Lakers (5-27). Then, Lin lost his starting spot 20 games into the season amid Byron Scott’s frustration with his consistency. But Scott said Lin is “playing pretty well” after signing with Charlotte this offseason to a two-year, $4.3 million deal. 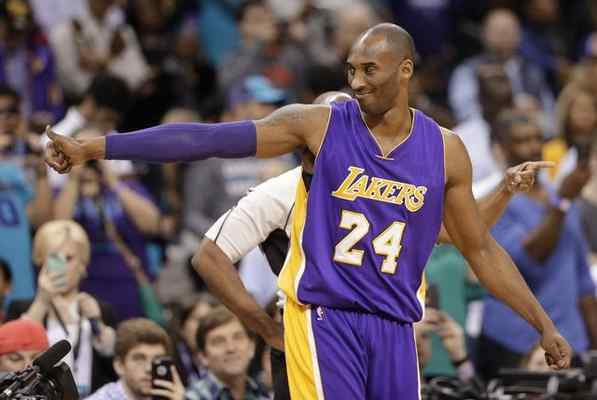 Lin continued that during the Lakers’ 108-98 loss to the Hornets on Monday at Time Warner Cable Arena. He posted 13 points on 5-of-10 shooting and four assists in 34 minutes off the bench. Lin appeared equally aggressive both with attacking the basket and on defense, two areas that Hornets coach Steve Clifford raved about regarding Lin all season. Charlotte, N.C. — The color disgusted former Lakers player and general manager Jerry West so much that he refused to wear it. The color has also made several Lakers feel nauseous. The color ‘green’ might represent wealth, describe inexperience or suggest renewal and rebirth. But that only means one thing to the Lakers: the hated Boston Celtics that have won a league-leading 17 NBA championships and beat them in nine out of 12 NBA Finals. Yet, for some reason, Lakers guard Kobe Bryant claimed that green has always been his favorite color. CHARLOTTE, N.C. – The words sounded powerful as they blared through the loudspeaker. They also became powerful for Kobe Bryant, whose competitiveness, skills and mannerisms partly stemmed from the man who delivered a passionate tribute. 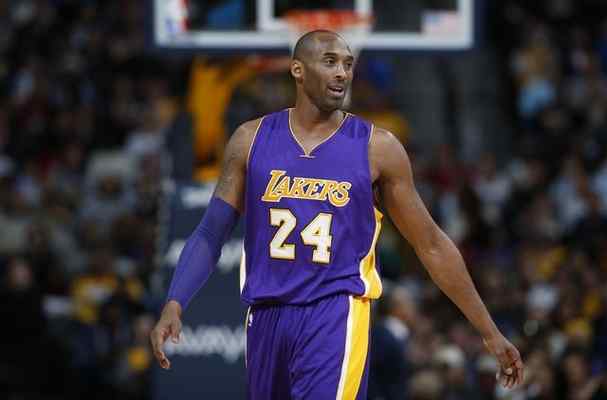 Bryant’s career speaks for itself, his five NBA championships and third place on the league’s all-time scoring list ensuring a positive fan reception during both home and road games in his 20th and final NBA season. But Jordan’s words conveyed more meaning since the two became forever linked because of their familiar games and personalities. Even as they encounter the worst stretch of their franchise’s history, the Lakers still remained enough of a draw for the NBA to feature them on their slate of Christmas Day games. 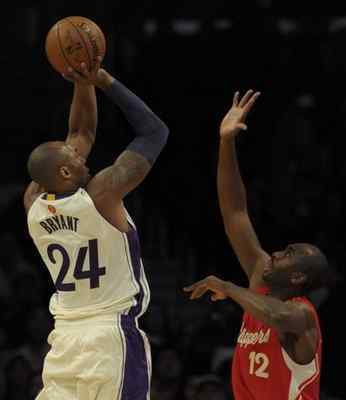 Kobe Bryant’s presence surely helped. But the Lakers’ loss to the Clippers on Friday at Staples Center still marked the lowest of the five NBA games broadcast on Christmas Day. The Lakers drew a 2.2 overnight rating and a 4.2 rating in Los Angeles. Meanwhile, the NBA Finals rematch between the Golden State Warriors and Cleveland Caveliers drew a 6.7 overnight rating, a 21.2 rating in the Cleveland market and a 16.0 rating in the San Francisco market. The interest in the Lakers-Clippers matchup, perhaps also aided by the 7:30 p.m. tipoff time, also drew less intrigue than Thunder-Bulls (4.0 overnight rating, 12.1 in Oklahoma City market, 8.4 in Chicago market), Spurs-Rockets (2.5 overnight rating, 6.9 in San Antonio market, 3.8 in Houston market) and Pelicans-Heat (2.3 overnight rating, 5.3 in New Orleans market, 4.1 in Miami market). The Lakers-Clippers game was also aired locally by the team’s broadcast partners, including the Lakers (Time Warner Cable SportsNet) and the Clippers (Prime Ticket). The music played over and over in Kobe Bryant’s head. Journey’s “Don’t Stop Believing” blared through the loudspeakers before and after every Boston Celtics victory at the Garden, something that became increasingly annoying for Bryant as Boston won the 2008 NBA Finals over the Lakers with a 38-point Game 6 series-clinching win. 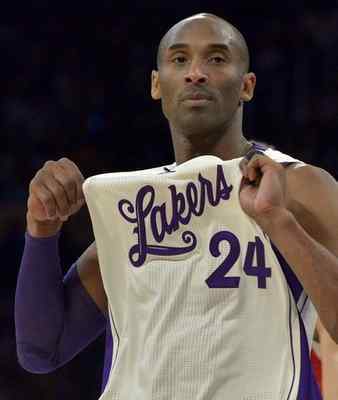 Los Angeles Lakers Kobe Bryant is leading in All-Star votes. Before they voted, it turns out the fans did not take into account Kobe Bryant’s fight against Father Time. Nor did fans worry about the Lakers’ season-long struggles. Bryant still led in the first returns on the 2016 NBA All-Star ballot, his 719,235 votes ahead of the Golden State Warriors’ Stephen Curry (510,202) and the Cleveland Cavaliers’ LeBron James (357,937). Presuming he plays in the 2016 NBA All-Star game on Feb. 14 in Toronto, this would mark Bryant’s 18th and last All-Star appearance before he retires following the 2015-16 season. Bryant, who is playing his 20th NBA season, has the second most All-Star selections behind only former Lakers center Kareem Abdul-Jabbar (19). Beyond he global popularity, Bryant has also benefited from being listed as a frontcourt player for the first time of his NBA career. Bryant, who has played small forward this season, is ahead of Oklahoma City forward Kevin Durant (349,473 votes). Bryant has averaged 17.4 points on 34.4 percent shooting, 4.1 rebounds and 3.5 assists in 30.7 minutes per game this season. 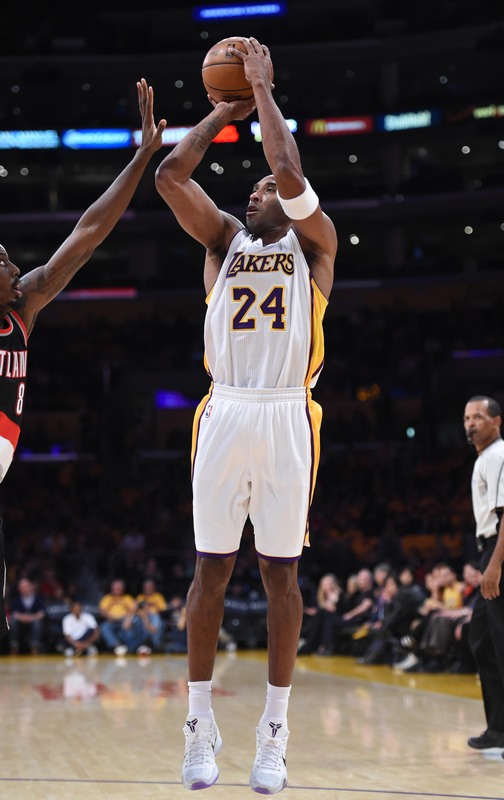 But in the last five games, Bryant has improved his play to a 23.5 points per game average on 44.9 percent shooting and 4.3 assists in 29.8 minutes per game. Lakers forward Julius Randle saw a foot specialist on Thursday that diagnosed him with a sprained left ankle, leaving his status as probable to play on Christmas Day against the Clippers in a designated home game at Staples Center. 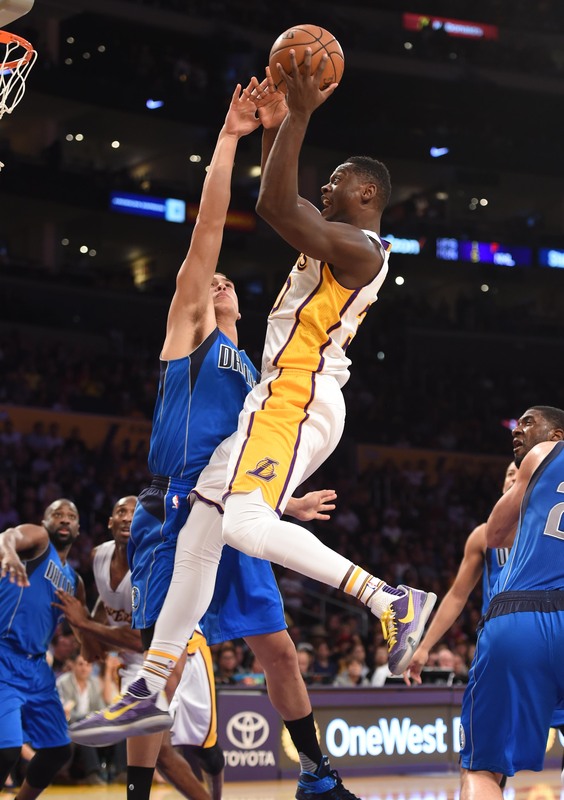 Randle sprained his ankle during the Lakers’ win on Tuesday in Denver. Though the Lakers did not initially consider the injury serious, it was painful enough for Randle to sit out of Wednesday’s loss to Oklahoma City. Lakers forward Nick Young will be expected to be available on Friday against the Clippers after missing Wednesday’s game against Oklahoma City with an upset stomach. Young participated in Thursday’s practice without any reported issues. Los Angeles Lakers Media Day in El Segundo Monday September 28, 2015. 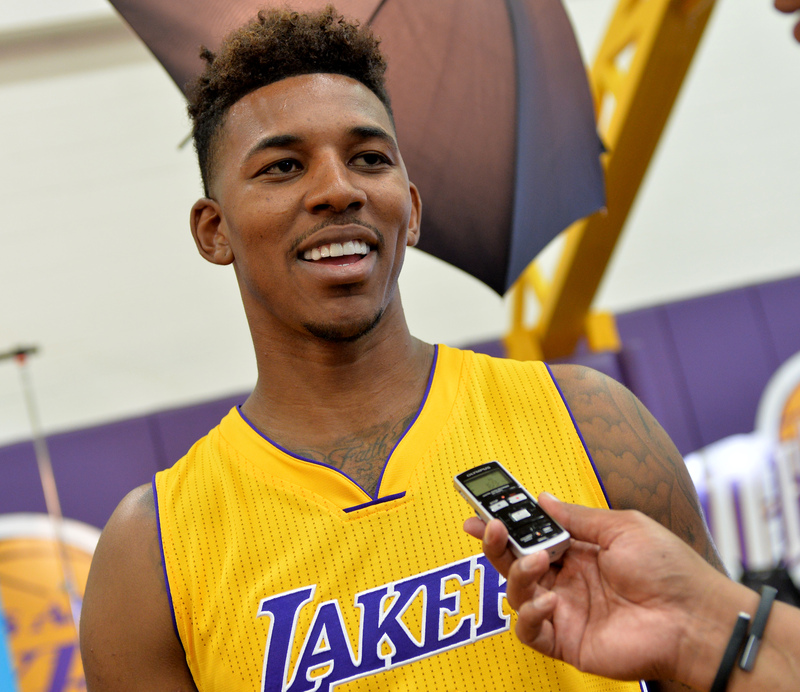 Nick Young smiles during interview. The Lakers will not receive a dose of ‘Swaggy P’ before the holidays. Reserve guard Nick Young will sit out when the Lakers (5-23) host the Oklahoma City Thunder (19-9) on Wednesday at Staples Center because of stomach issues. Young has averaged 9.0 points on 40 percent shooting in 19.6 minutes through 25 games off the bench, posting double-digit efforts in three of the past five games. The Lakers have not listed anyone else on their injury report for Wednesday’s game against the Thunder.